Welcome to the Nagel Middle School PTO! We are proud to support the students and staff of Nagel Middle School with programs, events, teacher mini-grants and more. Our annual SOAR Campaign is underway with a big goal of $50,000 and #NagelBeTheChange and Post It Notes are helping fund scholarships for Anderson and Turpin seniors. Learn more about our fundraising efforts and the projects they support on our "Fundraisers" page. SOAR Store, Concessions, Parent Reps, Bookstore and more - there are a lot of ways to give your time or talent to support Nagel. Check out the "Volunteer" page for a current list of ways you can get involved. Click here for a list of open Board & Chair postions; if you are interested in filling an opening, contact NagelPTO@gmail.com. Visit our "Events" page to get a list of all upcoming events and programs. Our last meeting of the 2018-19 school year will be held at 6 p.m. on May 8. Parents are welcome and encouraged to attend. A complete schedule can be found on the "Meetings" page. Nagel PTO is excited to support the student athletes of Nagel Middle School. Our new athletic website offers helpful links for spirit wear, decals, game/match/meet day tees and more, along with important dates and how you can support PTO's efforts to give our athletes and coaches what they need to be successful. Click here to reach the NEW Nagel Athletics website! The Nagel PTO Bookstore has all your school supply needs. We're open duing lunches on Tuesday & Thursday and offer everything from pens to folders to books on the required reading list and even have a limited supply of PE shirts. Get a head start on next year's school supplies by ordering your 2019-20 supply kit. Your kit will be delivered to Nagel for pick up during the Aug 8 and 9 WEB Days. A portion of the kit cost benefits PTO and we thank you for supporting us while saving yourselves some time and money. You can find this year's supply list here. Click here to order your 2019-20 supply kit. With more than 1,200 students relying on the programs of Nagel PTO, we need all of the parent support we can get! 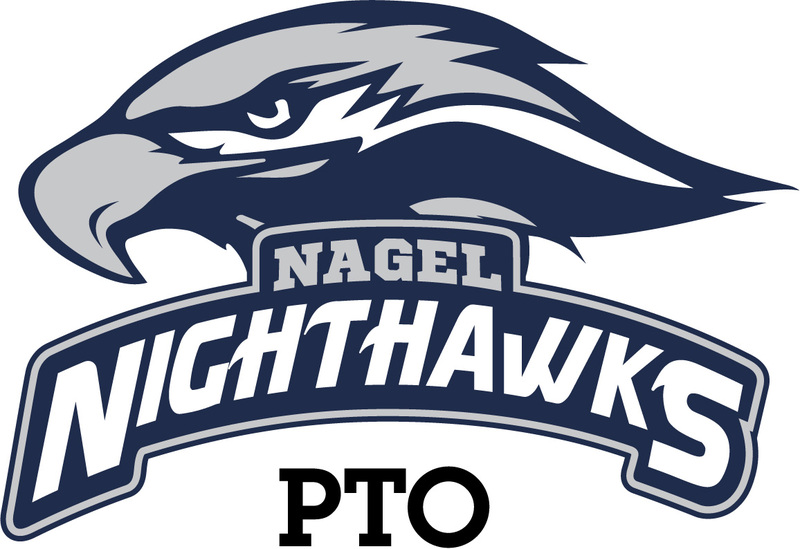 Join PTO today and be a part of all that is happening in Nagel Nation! Not sure if you have joined yet? Click here to get a list of current members. Click here to join PTO! PE Shirts along with short sleeve, long sleeve, hoodies and more are available in the Nagel Spirit Shop! Only items purchased through Nagel PTO benefit our efforts to support our students and staff. Visit http://bit.ly/nagelgear to get your Nagel gear today! Click here to order your 2018 Nagel Nighthawks car decals and magnets!